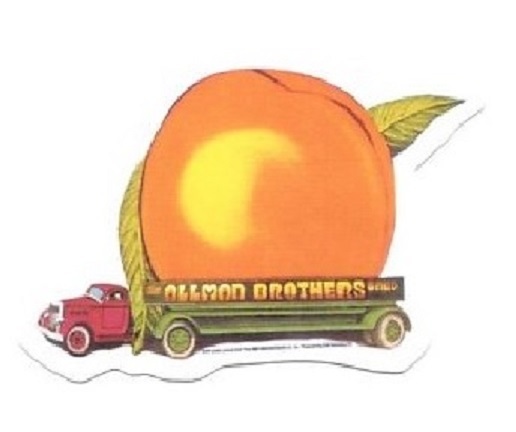 Allman Bros. peach truck bumper sticker. This Allman Brothers sticker measures approximately 4 1/4" x 6". Officially licensed Allman Brothers Band merchandise.